International Hotel Group (IHG) is a true giant of the hotel industry, operating nearly 5,000 hotels all over the world. They cover everything from 5* ultra-luxury in Tahiti to budget hotels on the outskirts of Birmingham. Brands include: Intercontinental, Crowne Plaza, Holiday Inn, Holiday Inn Express, Hotel Indigo, Staybridge Suites, Candlewood Suites, Even Hotels, and HUALUXE. IHG hotels can be found pretty much anywhere in the world, but have a particular strength in the UK and the USA. IHG’s main loyalty programme is called “Rewards Club” (confusingly, the Intercontinental brand operates a different programme called “Ambassador” that you need to pay to join). The focus of this guide is Rewards Club, but you can read about the Ambassador programme here. IHG has fantastic global coverage – and diversity. You can earn points at good value budget properties, and then redeem them at fantastic hotels in exciting cities or exotic resorts. IHG’s award chart is quite reasonable compared to most other chains, particularly at the luxury end. IHG runs some of the most generous promotions in the industry, with particularly good offers for new members. If you do not already have a Rewards Club account you can sign up here. Once you have got an account, I would strongly advise that you also register for the current promotion “Accelerate” here. For new members, “Accelerate” is very generous and considerably better than most of the other hotel loyalty scheme promotions this autumn. Rewards Club has four status tiers: Club, Gold, Platinum, and Spire. Status can be gained either through the number of nights you stay, or the number of points you earn (the number of qualifying points you earn generally depends on how much you spend). Nights booked using points count towards status just like paid nights. Rewards Club status does not have to be recognised by IHG hotels operating under the Intercontinental brand because they have their own Ambassador scheme. In practice, most Intercontinental hotels do actually choose to do so, but they don’t have to. Once status has been earned in any calendar year, you get to keep it until the end of the next calendar year – so for example, if you qualified for Gold status in February 2016, you would keep your status until 31st December 2017. Reward Club’s entry level status is actually pretty good, offering late check-out (if available), free internet and a complimentary weekday newspaper, as well as the ability to earn points of course. By comparison, the published benefits for Gold status are very weak – just ‘Priority Check-in’ and a 10% bonus on points earned are mentioned. In reality, hotels quite often provide Gold guests with something like a drink/snack voucher or other welcome amenity, but they are under no obligation to do so. Platinum guests receive an upgrade (if available), and a 50% bonus on points earned. Most chains struggle a bit with consistency when it comes to upgrades, but IHG take the biscuit. I’ve had some of the best upgrades of my life as a platinum member (£1,000+ suites, club access with free-pour champagne etc), but I’ve also (fairly often) received no discernible upgrade at all. I wish I could tell you there was a pattern to this, but there really doesn’t seem to be one. Even at the same hotel, I’ve had a great upgrade one week and then nothing the next. The rules are that hotels do not have to upgrade if you have booked using points and that Intercontinental hotels do not have to recognise Rewards Club status (because they have their own ‘Ambassador’ programme), but many hotels still choose to do so in practice. The reality (at least in my experience) is that IHG upgrades are a bit of an enigma – just make sure you enjoy the good ones when they happen! Guaranteed room availability is also offered, but for most people this is of limited value as the rates hotels tend to charge in a situation where that would be necessary are usually extortionate. Currently the only advantages for Spire members are, 100% bonus on points earned, and the ability to either gift a friend Platinum status or select 25,000 points for yourself. For 75 nights a year, this is far from generous and not remotely competitive with what most other chains offer their top tier members. To be fair, IHG has promised that more perks will be added in 2016 – so watch this space. Summary: The perks you get just for signing up are decent, but none of the higher status tiers (currently) compare well with what is offered by other chains. Sign up, but don’t chase status. Once you have signed up, you will earn 1,000 points on your first stay (this is regardless of how much you spend, so try to avoid making your first stay an expensive one, or you’ll potentially be missing out on lots of points!). After that, a Club member earns 10 points per US Dollar at most brands and 5 points per dollar at Staybridge Suites and Candlewood Suites. Gold members get a 10% bonus, Platinum members a 50% bonus, and Spire members a 100% bonus. It is also possible to earn frequent flyer miles from your stays instead of IHG points. In order to do so, you just need to change the earning preference in your IHG account. 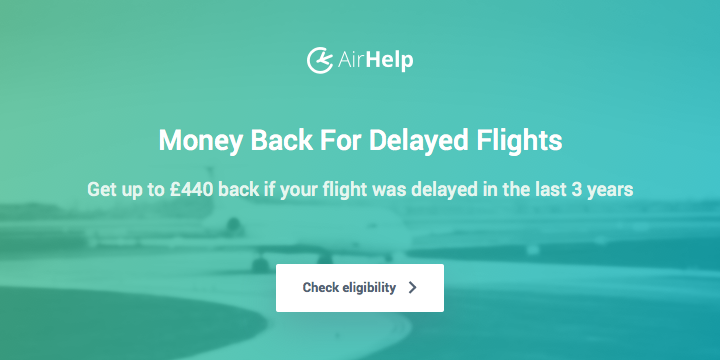 The earning rates vary depending on the airline (you can take a look here), but none of them are very generous – I would stick to earning IHG points. Although Intercontinental operates the separate ‘Ambassador’ loyalty programme, it is still possible to redeem points at Intercontinental hotels, as well as all the other brands. Rewards Club splits IHG hotels into nine categories. The lowest category hotels require just 10,000 points per night and the highest 50,000 per night. The categories rise in 5,000 point increments (10,000,15,000, 20,000 etc). All points bookings are flexible, with most allowing cancellation right up until the day or arrival (do check though, as some hotels have stricter conditions). Spending points is quite simple. All you have to do is go to the IHG website like usual, and after you have entered the location and date, click on the “rate preference” button (on the right) and change it from “Best Available” to “Reward Nights”. If rooms are available to book with points, it will show you the number of points required for each hotel as well as the lowest cash rate. Once you have found a hotel you are happy with, you just click through, select the room type you would like (twin, double, smoking, non smoking etc), and complete the booking. IHG advertise that there are no ‘blackout dates’, meaning that they do not stop you using points for expensive nights like New Year’s Eve. The detailed T&Cs actually state though that “room inventory is limited”, so just because a standard room is available to book with cash doesn’t mean that the hotel HAS to make it available to book using points (so long as they had previously made at least some of their rooms available for points bookings). In practice this is usually a non-issue – if a hotel has standard rooms available for cash, I’ve rarely seen an example where you couldn’t use points instead. The other aspect to spending points, is deciding when to use them and when to pay cash instead. Everyone’s circumstances are different and therefore this is a very subjective decision, but I think it is still possible to set a conservative valuation for IHG points – a level below which, in most circumstances, most people would rather save their points for a time when they will get better value from them. I set that value at about £4.00 per thousand points (0.4p per point). The key thing to remember though is that the ‘right’ redemption is simply what suits you – don’t agonize over always extracting maximum value. IHG points expire after 12 months without any account activity. This is actually very easy to avoid, as even just making a reservation using your points and then cancelling it counts as account activity and resets the clock. Alternatively, you can redeem as few as 350 points for something on Reward Club’s digital shop. Rewards Club does not offer a mechanism to use points for upgrades. That said, some hotels make more than just standard rooms available for points redemptions – for the same amount of points. In some cases I think this is deliberate, in others it most certainly isn’t, but they tend to get honoured regardless so keep an eye open! You can also usually upgrade points bookings with cash – just get in touch with the hotel directly and see what they are able to offer. When making a booking using points you will be given the option to use 5,000 fewer points for $40, or 10,000 fewer points for $70. If you wish to do so, it’s as simple as selecting that option and continuing your booking as normal. Given that my valuation of IHG points is £4.00 per thousand points, I wouldn’t normally recommend doing this, as you would essentially be paying $8.00 (approx £5.20) per thousand if you use 5,000 fewer, and $7.00 (approx £4.60) per thousand, if you use 10,000 fewer. There are circumstances where this can make sense though, particularly if you are using points for a hotel that would otherwise be very expensive, and don’t have quite enough points. IHG points can be transferred to a wide range of frequent flyer programmes. 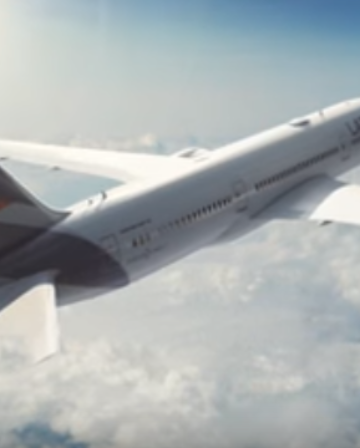 All the usual suspects are available, including BA, American, United, Emirates, Etihad, KLM/Air France etc, and the transfer rate for almost all partners is 10,000 IHG points = 2,000 frequent flyer miles. Is transferring a good idea? It depends – the ratio isn’t TOO horrible and in some circumstances could make sense (eg. if you only need 2,000 more miles to have enough for a business/first class award and the airline charges a lot for buying miles), but generally speaking it is far from compelling. I value most frequent flyer miles at something between 0.8p and 1.2p per mile, so even if we take the top end of that, it would mean effectively exchanging 10,000 IHG points for £24.00 worth of frequent flyer miles (10,000 points=2,000 miles x 1.2p =£24.00). Given that I conservatively value 10,000 points at £40.00, it’s not something I would recommend apart from in very specific circumstances. The full list of airline partners and further details can be found here. One interesting quirk to note, is that you can actually transfer Virgin miles into IHG points at a 1:1 ratio. 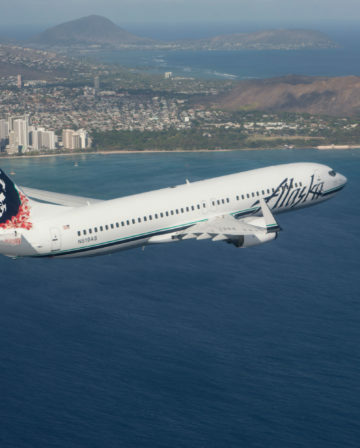 This isn’t exactly a great deal, but if you have lots of Virgin miles and little use for them, it is at least worth knowing you have the option. Details can be found by clicking on the “spend miles” section here. IHG offers a Visa card, which regularly offers good value sign-up bonuses. There is no direct way to transfer Amex points to IHG Rewards Club, but you can go indirectly through Virgin as mentioned above – if you really need to. Transferring points to/from a friend or family member is possible, but it costs $5.00 for each 1,000 points you move, so is not great value. Buying points from IHG can also be done, but costs between $11.50-13.50 per thousand depending on how many you buy, so is also a pretty bad option. If you really do want to buy points (perhaps if a fantastic hotel is on the ‘PointBreaks’ list), there is a trick involving the cash and points booking option, that consistently allows you to buy points for $7.00 (approx £4.60) per thousand. Every quarter, a list of hotels is released which can be booked for just 5,000 points! The list is different each time, but usually contains a handful of very nice hotels (which are an absolute bargain for 5,000 points! ), and quite a lot of other, less glamorous, options. If you have IHG points and a hotel on the list fits your plans, this is one of the best regular promotions around. ‘Accelerate’ is Reward Club’s big promotion for the final quarter of 2015. Each member receives a personalised set of targets to complete in order to earn bonus points or free night certificates. The generic offer for new members is very generous, offering a free night certificate (which can be used at any IHG hotel in the world) after two stays, and another certificate after two more stays. 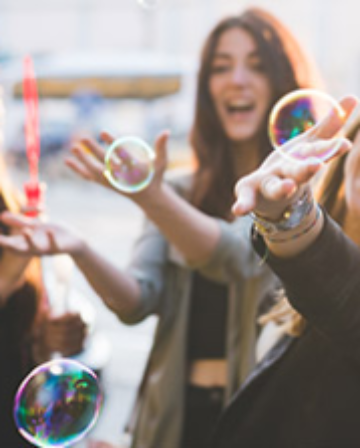 Even one night stays count, so a new member can potentially earn two free nights at 5* hotels in London, Paris or Bora Bora etc, from just 4 (separate) nights at a Holiday Inn Express. You can register here. In partnership with MasterCard, IHG are offering a 30% discount on stays booked through this link here. Although the offer is primarily for weekend stays, there is actually a fair bit of mid-week availability too. The discount at Intercontinental hotels is only 20%. Reservations have to be made at least 21 days in advance. Reservations can be made until 31st March 2016, and you can book up until the end of 2016. There is no requirement to pay using a MasterCard. Combining cheap stays through this rate with the Accelerate promotion, is the deal of the Autumn for me! 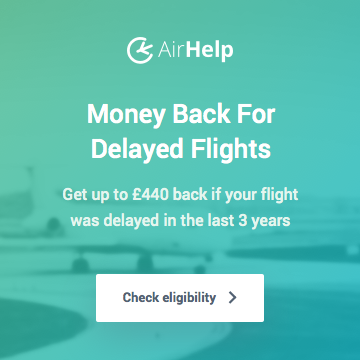 You cannot get cashback from IHG bookings anymore (at least from any of the cashback sites in the UK), but you can collect American AAdvantage miles instead by using the American Airlines e-store portal here. Once you have signed up, search for Crowne Plaza (there isn’t a general IHG option) and click through. When on the Crowne Plaza website you can sign into your IHG account and book any IHG hotel, just like you can on the standard website. 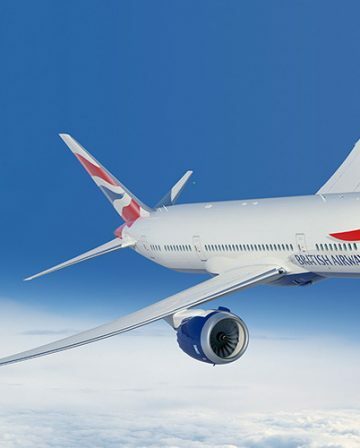 You earn 3 AA miles per US Dollar spent – so approximately 4.5 miles per £1.00. I value AA miles at about 1.2p, so I think of this as being a rebate worth a little over 5%. The AA e-store regularly offers bonus miles for spending a certain amount in a given period too, which can really help rack up the miles. I have also noticed that you sometimes receive miles even for bookings made using points, which is a nice bonus when it happens!